Today, we bought a house! A natural progression, really, once we had decided to stay here in Spain. Having rented for our first year, we managed to give ourselves time to evaluate the possibilities and logistics of living here long term, and it finally made sense. 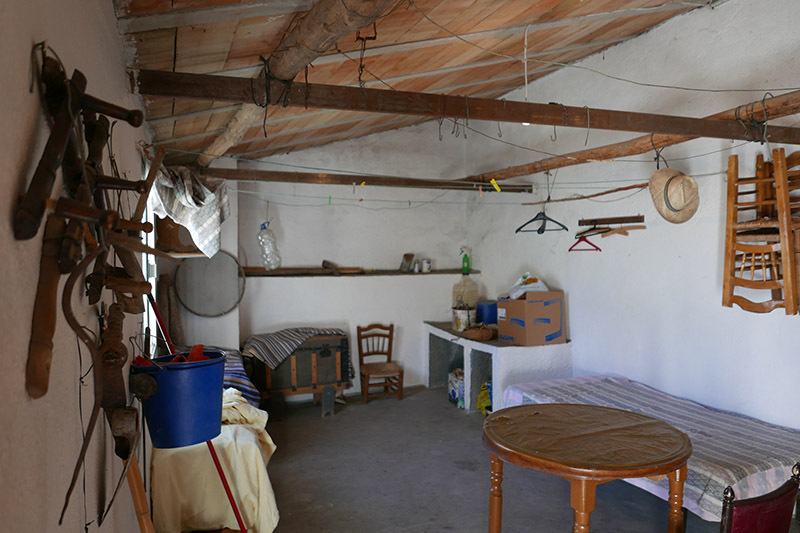 We have spent the past few months getting to the stage where we can reduce our overheads here, and the biggest overhead we have is the rent on lovely Casa Magdalena. It has always been our intention that, if ever we bought, the property would need to earn its keep, so to speak. In the back of our minds, we would like to open a bed and breakfast or have some sort of self-contained unit to let as a holiday rental - anything, as long as it generated a little bit of income. Our aim has always been to do the things that we love doing, and if we can earn a living by following that route, then great! The past couple of months have been difficult, as far as work has been concerned, and we have learned a few valuable lessons. Work is available here, but if you are not careful you can end up working far too many hours, for little financial reward. Being a non-Spanish person does allow you to be entrepreneurial and creative, to en extent, and opportunities do arise at the most unexpected moments. Anyway, back to the house! We knew we wanted to be within a 35/40 minutes driving radius of Granada. In one direction, there lies the Alpujarras which is also slightly pricey due partly to the success of Chris Stewart’s books. In the north-east, you tend to find yourself wedged in between the Sierra Nevada and the Sierra de Huetor, which can feel a little claustrophobic. 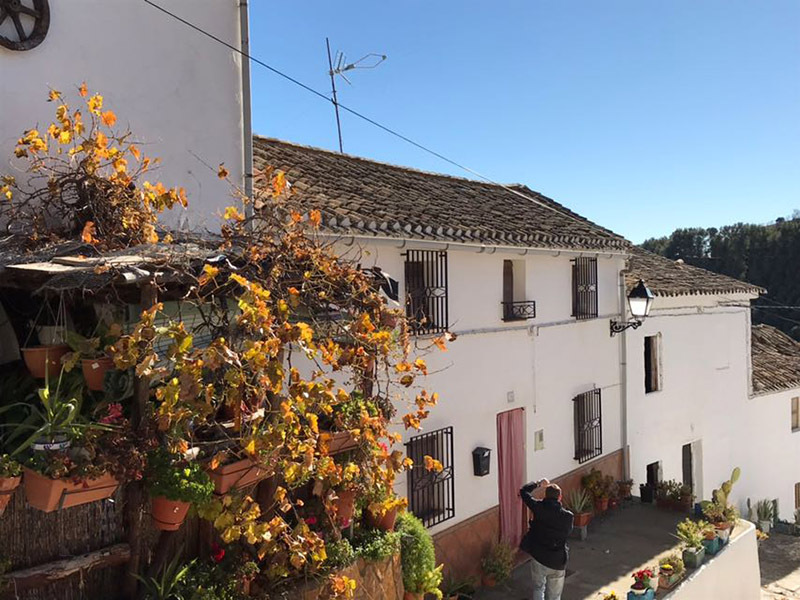 We tried the area to the west, around the Embalse de Bermejales and the pretty town of Alhama de Granada, and despite frequently trying to contact a local estate agent, they never responded to requests for information so we never actually got to see what properties might be for sale. 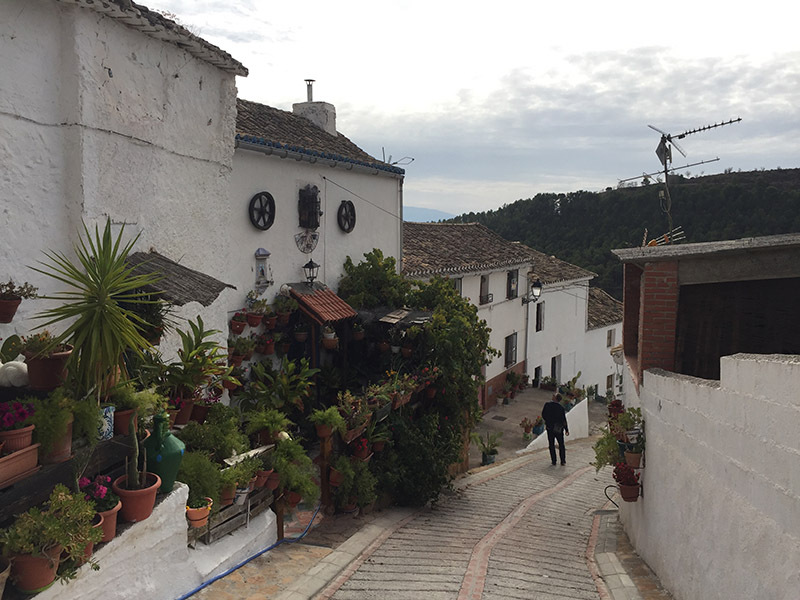 We had driven along the N-432 from Granada to Córdoba on a number of occasions, and had seen the sign to a place called Moclín, so thought we’d take a detour and have a look. 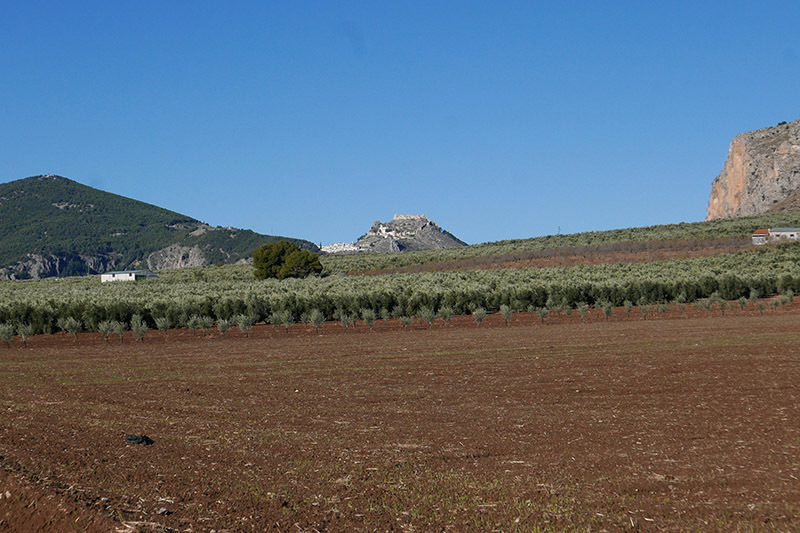 Driving up a country lane, after about 5 kms we rounded a bend and there, in front of us, was a hill topped by a Moorish castle, surrounded by spectacularly jagged rock formations. The village tumbles down from the castle, and there are almost uninterrupted views of the entire stretch of the Sierra Nevada. It has been said that, on a clear day, from Moclín castle, you can see The Alhambra Palace. The village had a lovely feel to it, and we have been back on several visits to view houses, and each time that feeling has not been diluted. It is a pretty and well-cared for village. Its elevation allows light to flood its streets, and it doesn’t have that hemmed-in feel that many historic villages can have, where houses sit on top of each other, or interconnect around tight courtyards. We had a delightful Spanish estate agent, Miguel, (http://www.granadahouses.es/), someone we felt we could trust, and who knew what we were looking for. On Miguel’s website, there was a property listed that had an intriguingly named ‘patio’. We have always thought of a Spanish patio as being an internal courtyard, but the photographs showed this patch of land that looked nothing like our idea of a patio. When we arrived to see this, and a couple of other houses, we were told by Miguel that we couldn’t see the house with the patio, as someone was due to pay a deposit that day. We were to meet Pepe, the holder of the keys to one of the houses we were to see, and of the patio house. Miguel tried to call Pepe to find out where he was, and we heard a phone ring in the adjacent street: Pepe was on his way. Pepe, however, who must be all of 85, did take some time to come round the corner, the poor chap. He then delivered the pleasing news that patio house was back on the market, as the people who were interested only wanted to pay a deposit of €1,000 and then delay completion until they found the rest of the money, with no earthly idea of when that might be. We could go and view the house, but as we hoped to view it that day, a decision was taken to leave Pepe at the village bar while we went and looked around with Miguel, who is significantly more spritely. So, we got to see Calle Amargura, in the village of Moclín, and it ticked all our boxes. The ‘patio’ is a large garden at the end of which sits a rather lovely nave, or stone-built shed which we will be converting into a studio. 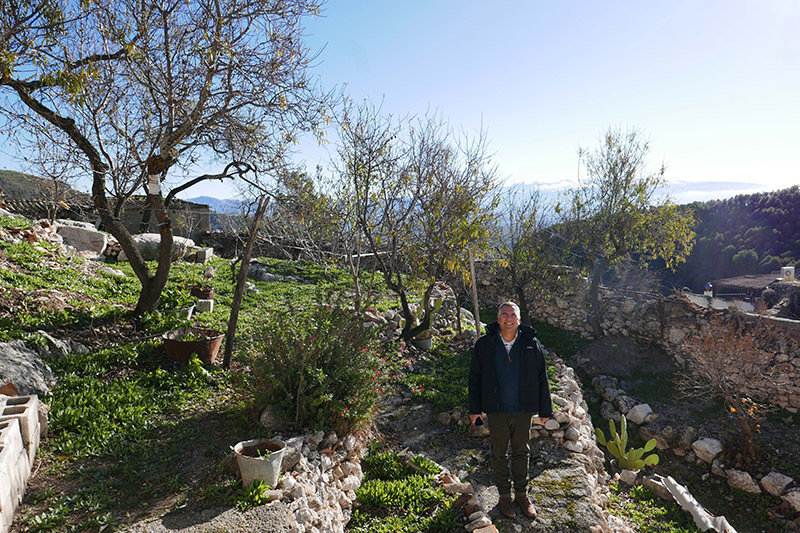 The garden has stunning views of the Sierra Nevada and the house itself, a traditional build of lots of little rooms, can be reformed into a more open space without losing any of its integrity as a village property dating from 1850. The following week, we took our Spanish architects to have a look, and we loved the place just as much on second inspection, and Ana and Jesus, the architects, were equally beguiled. 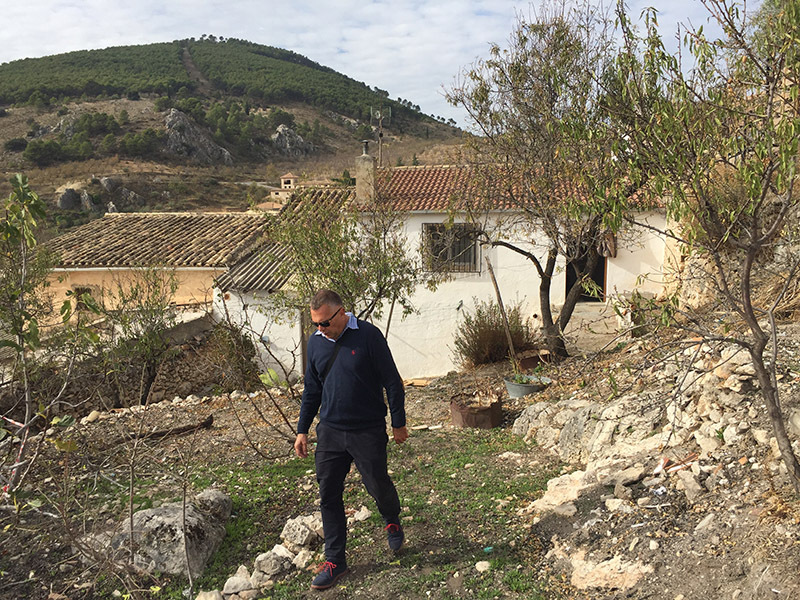 Within days, they had been in touch with the village ayuntamiento to ask if we could carry out the works we had in mind and the response we received sealed the deal. The ayuntamiento, as well as saying that there would be no problem with our restoration plans, also stated that they looked forward to having us as new neighbours. The house was on the market for much less than the properties available in the Lecrin Valley, and we made a reasonable offer which was accepted within a couple of days. The buying process could not have been more straightforward. The process has been almost surreal in its simplicity, and we do put that down to using a completely Spanish team and being able to understand at least some of what they say. We have collated a list of recommended practitioners since being here. We have met several people who have used Ana and Jesus as architects, and have seen examples of their work. The lawyer we used was recommended by both the local estate agent and a friend of ours from Saleres who used him for his own conveyancing. Miguel sent the details to the lawyer who prepared the draft contract. This was produced in the official Spanish form with an English translation. We were told what to pay, and when, and as soon as both parties were happy with the draft contract, we paid our deposit and exchanged contracts. The date for completion, and the visit to the Notary was set for 14th December. A sum of money was set aside, as there was a question mark over the size of the registered property, and this would be resolved. Today, we had the formal completion meeting. 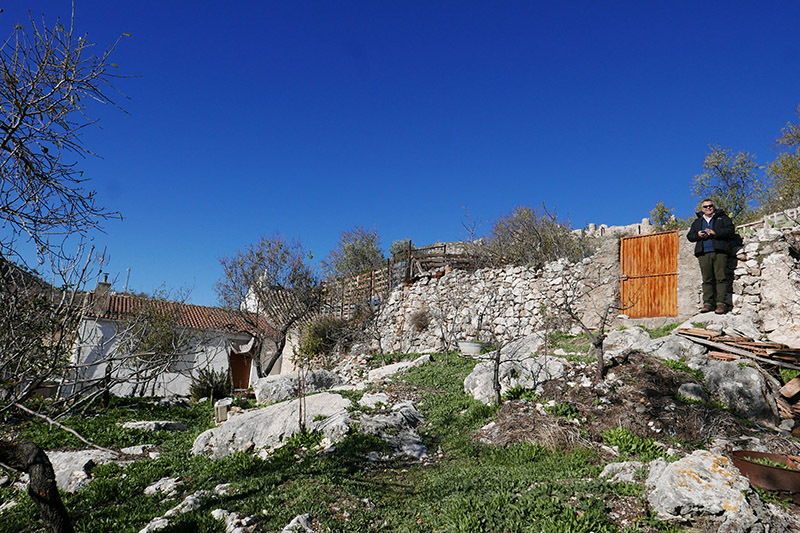 All parties meet at the office of the Notary, the Escritura was explained, and a surveyor had been to assess the property to make all the necessary amendments to be lodged with the land registry. We met the vendors: Antonio (whose brother is Pepe, the keeper of the keys) and his wife Encarnación, and their delightful daughter. 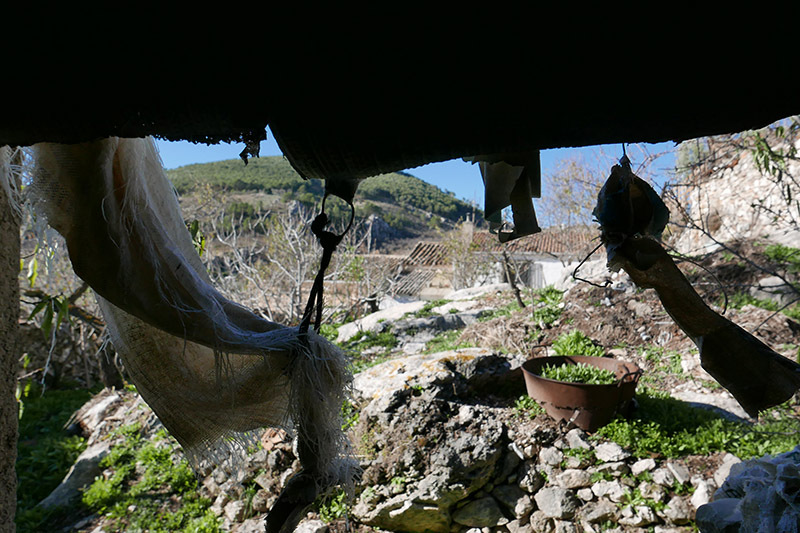 Antonio and Encarnación are now living with their daughter in Illora, a village not too far from Moclín. Money handed over, documents signed, hands shaken and keys pocketed. We took ownership of our own little corner of Spain. The title of this post? Bitterness Street? Walking up to the house with the architects, Jesus mentioned the name of the street - Calle Amargura. Andrew asked what it meant, and amargura is ‘bitterness’. Today, as we signed the documents, Andrew mentioned that name of the street to Antonio’s daughter. “I don’t know”, she said, “but it may come from the steepness of the hill on which the house sits”, and, presumably, the bitterness that people feel as they have to stagger up that hill every day just to get home. I am sure we will find out the real reason in due course.